I was so excited when my DH called and said that my special order of 10 april issues of Country Home had arrived. I didn't expect them before they hit the news stands, but there they were, all bundled up nicely in a very well sealed box. I opened the box, pulled out the top issue and began to search through it for my project. And there is was on page 12 in the community section. I know it's a little thing but it means so much to me that Ki Nassauer actually asked me to contribute this picture. Well There it is, I had a lot of fun taking the picture, setting it up to look just right etc. My son helped me with the lighting, because a regular flash shot just would not do. Getting them a copy that fit their exact specifications, Pixels per inch etc was the hard part, and of course waiting to see if it would actually be in the issue, and then waiting for it to arrive. It's all been so exciting.This issue looks to be good. Ki has some pretty projects with vintage fabric starting on page 63. A couple of really neat T2T projects on page 74-75 and one I can't wait for you to see on page 88. So in about a week start looking for it to be out and in your mail boxes. Big congrats, Margo! I can't wait for my issue to make it to my mailbox. We should have lunch and celebrate! Our snow has already melted away - did you get any? Wow! How exciting for you! You will have to stop by The Veranda next Canton and autograph my copy. We can't wait -- we will have the entire building starting next month! Come by and be our celebrity! That is SO awesome Margo!!! Congratulations! Oh what a feeling, huh? You need to frame one like celebrities do when they are on a cover. Great Job! Yeah!!! I am so excited for you! I haven't gotten my issue in the mail yet, but I can't wait to see it! Congrats Margo on hitting it big. We are all doing the Happy Dance with you. Happy Dance, to be sure! Margo, I'm soooo proud of you. Not only are you so creative, but you set some high goals for yourself this year and have hit many of them! KUDOS! Congratulations !!! That is such a cute idea too ! I can't wait to see the magazine in person ! Just wanted to say a big congratulations to you Margo. I am happy dancing in Wilmington, IL. Fantastic, Margo! Will enjoy seeing your article in the magazine, when I get it. 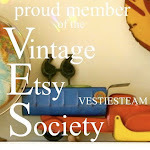 I enjoy your blog so much, and your other T2T site has kept me dreaming for hours. I love the way you recycle objects! So creative! Beautiful photo, beautiful idea. Congrats, Margo! Congratulations... can't wait to see you in print! Hi - just found your blog. My Country Home magazine arrived today, and I thought that was a really great project - good for you! Wonderful Blog! I have watched your projects over the past few years on HGTV boards and you are a talented (and pretty) lady! Will visit here often to see what is NEW!